Russia and Armenia have signed a collective security deal on a united regional air defense system in the Caucasus. Moscow is currently working on a similar system with Kyrgyzstan and Tajikistan. The air defense agreement between Russia and Armenia has been signed by the heads of defense of the two countries, Sergey Shoigu and Seyran Ohanyan. 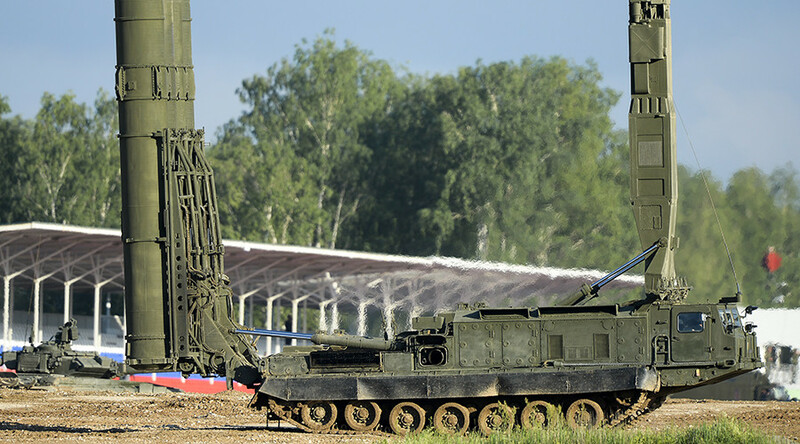 In 2013 Moscow signed a deal on a joint regional air defense system with Kazakhstan. Russian and Belarusian systems have already been unified. Currently Armenia hosts a Russian military base equipped with S-300 air defense complexes and MiG-29 interceptor fighter jets. Russia’s Erebuni base is part of the unified air defense system of ex-Soviet republics known as the CIS. It was formed in 1995 and is situated some 126 kilometers to the north of the Armenian capital, Yerevan. According to an intergovernmental agreement, Russian military will stay in Armenia till 2044. The number of military personnel at the Erebuni airfield and 102nd Military Base in Gyumri reportedly varies between 4,000 and 5,000. On December 8 the Erebuni base was reinforced with six advanced Mi-24P (NATO designation – Hind) assault helicopters and an Mi-8MT transport helicopter delivered from the Russian Air Force base in the Krasnodar region. The creation of a joint missile air defense system with Armenia enables Russia to ensure its position in the South Caucasus, America’s Stratfor geopolitical intelligence firm noted in late November, about a month ahead of the current deal.